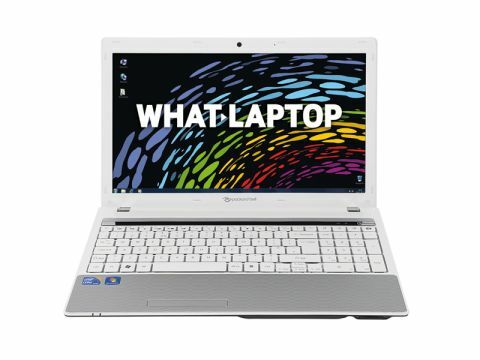 The EasyNote TM98-GN-005UK is the latest in a line of impressive consumer-focused laptops from Packard Bell. The Intel Core i3 processor runs at 2.13GHz and is combined with 4096MB of DDR3 memory, producing some impressive test scores during benchmarking. While it can't provide the power of the Intel Core i5 machines, it runs resource-intensive programs with little trouble, letting you happily run photo-editing suites and office applications simultaneously. Graphically this laptop can't match the likes of the HP Pavilion dv6-3040sa, but it will still run video editing software, HD video and DVDs with little issue. The 500GB hard drive provides truly capacious storage and will easily hold large collections of music, photos, games and high-definition videos. The 2.5kg the chassis weighs isn't nearly as light as the Dell Inspiron M101z, but the 285-minute battery life is impressive, and you'll get just under five hours of power from one charge under intensive use. The chassis also looks great and the white weave pattern will certainly turn heads without alienating potential buyers. Unsurprisingly, dust and dirt sticks out a mile on the white plastics, so only regular cleaning will keep the laptop looking new. The 15.6-inch screen isn't the brightest we have used, but it is certainly detailed enough for everyday use, while colour reproduction is rich and vivid. The panel opens nearly 180 degrees to the chassis, making it easy to achieve a good viewing angle, but the shiny Super-TFT screen coating inevitably produces irritating reflections in bright light. The very large keyboard is generally a pleasure to use. The keys are nicely spread out and feature a crisp action, but are very flat and we occasionally got lost on the board, miss-hitting various keys. Nevertheless, the dedicated numeric keypad is always welcome and useful for those who regularly input data. Three USB ports provide plenty of room for peripherals, such as an external mouse or MP3 player, while an HDMI port allows you to hook up to your high-definition (HD) TV and show off your photos and movies. There's also 802.11n Wi-Fi for connecting wirelessly to a router for internet access. Packard Bell has continued its fine run of form with the EasyNote TM98-GN-005UK. It's producing some of the best consumer laptops currently available and this machine is one of them, providing a great mix of power and portability.